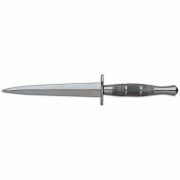 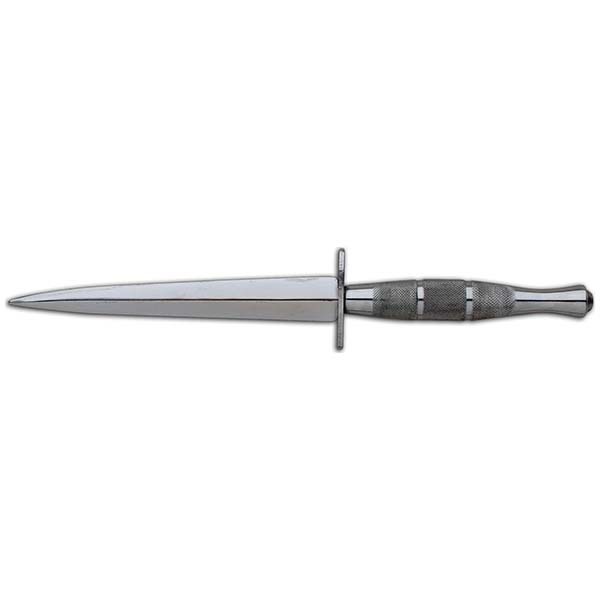 Wartime 5th Special Forces Group (ABN) chromed presentation stiletto dagger that was manufactured by Japan Sword. 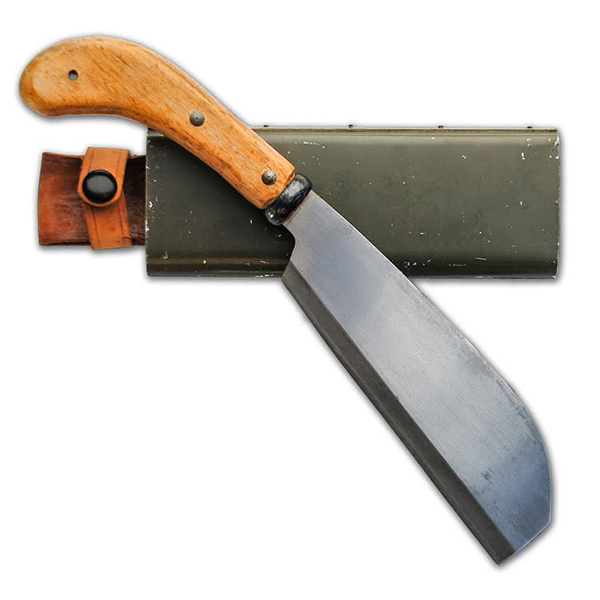 The knife measures 11 3/4 inches long with a 6 1/2 inch blade that is factory engraved 5th SPECIAL FORCES GROUP, VIETNAM. The dagger comes with the matching leather scabbard with a chrome boot. These knives were awarded to personnel assigned to 5th SFG at the end of their tour. 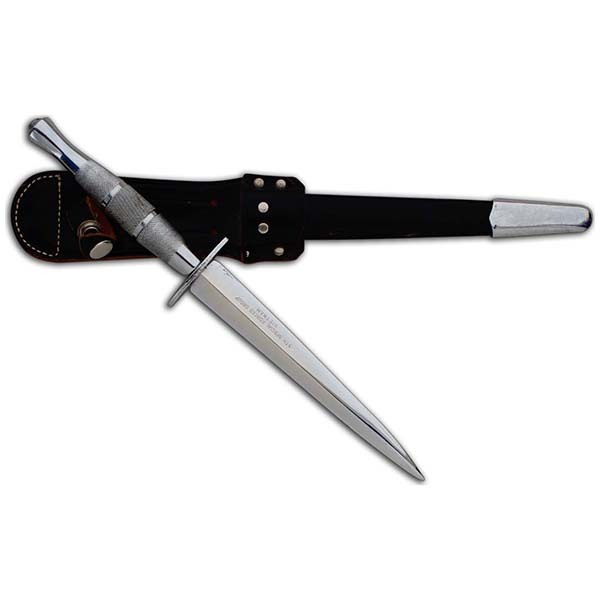 The piece is unattributed and will come with a Letter of Authenticity from specialforceshistory as artifact number APK-155.